Natura is not only one of the industry’s top companies, but also a global leader in sustainability. For its eco-friendly business strategy, the Brazilian cosmetics company has been named a 2015 Champion of the Earth, the highest environmental honor bestowed by the United Nations. The award recognizes Natura—as well as other laureates across the categories of policy, science, business and civil society—for implementing the type of sustainable practices outlined in the 2030 Agenda for Sustainable Development, a plan of action put forth by the United Nations Environment Programme (UNEP). Natura, which operates in five Latin American countries as well as France, received a carbon-neutral certification in 2007. In 2011, the company launched an Amazon Program that incentivizes local communities to preserve Amazonian forests by utilizing ingredients sourced from the region. Natura reached another milestone in 2014, when it became the first publicly traded company to attain B Corps certification, a testament to the company’s environmental and social stewardship. Thus far, Natura’s fellow 2015 Champions of the Earth include The National Geographic Society and South Africa’s Black Mamba Anti-Poaching Unit. After announcing the remaining winners throughout this month, UNEP will recognize this year’s laureates at the U.N. Sustainable Development Summit, on Sept. 27. 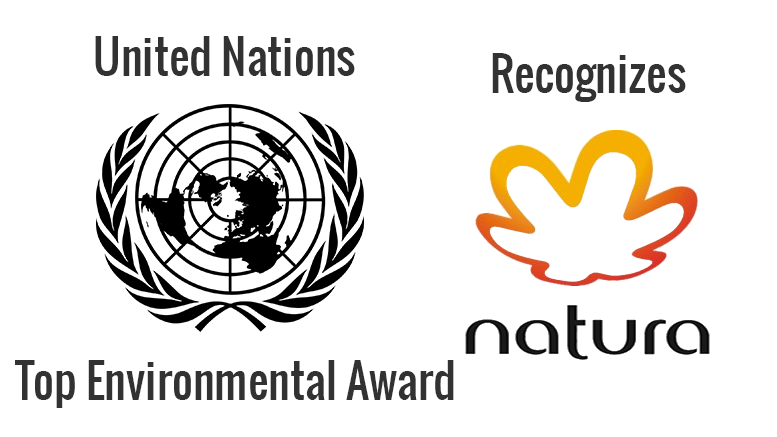 Be the first to comment on "UN’s Top Environmental Award Recognizes Natura"